More than a thousand people are killed and several thousand injured each year in the U.S because of generated electric current. 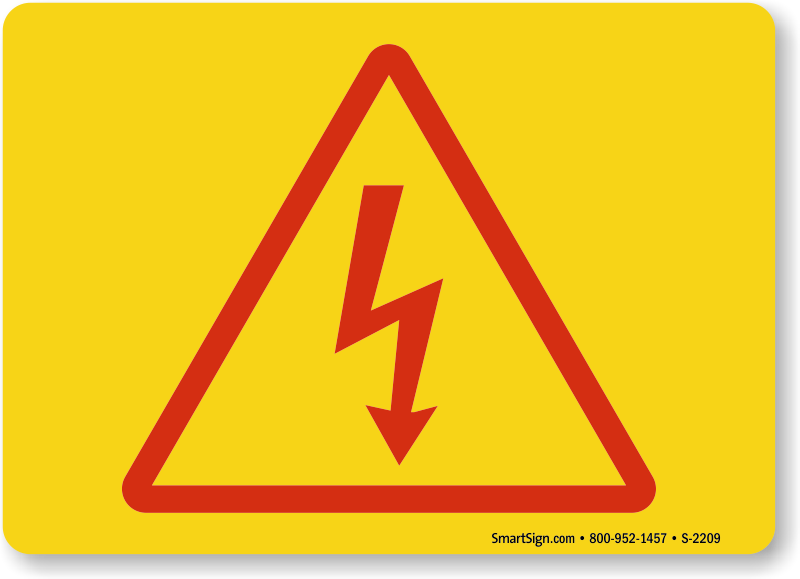 Prepare your facility against electrical danger that comes with the use of high voltage equipment. Mark all locations, equipment, and machinery in your facility with our range of High Voltage Symbol Labels to indicate the presence of a high voltage hazard. 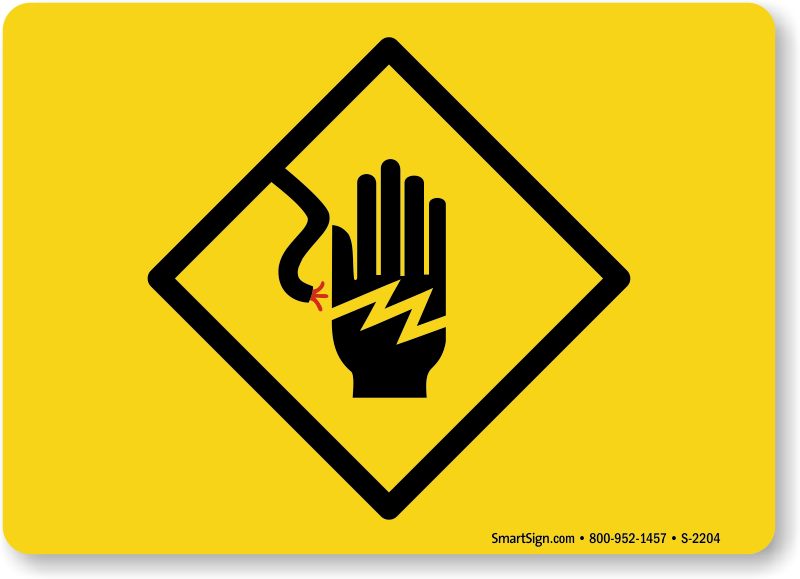 • High Voltage Symbol is universally recognized and instantly cautions everyone passing by. You can also choose from other designs with a different pictogram to suit individual requirements. • Signs are available in plastic and aluminum in two sizes. • Resistant to fading, abrasion, chemical and water spills, signs enjoy a long life. Forget about frequent replacements! 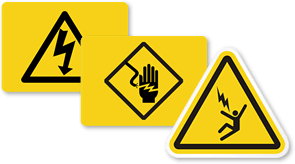 • Symbols come with mounting holes for quick and hassle-free installation.